The soldier, although gone forever, is never forgotten by those who remember because what he or she leaves behind is the security and love given so America will always be home for all. Here, our artist creates a very symbolic gesture for the fallen soldier, that although gone, will never be forgotten by the mark of what he/she leaves on others around him/her. 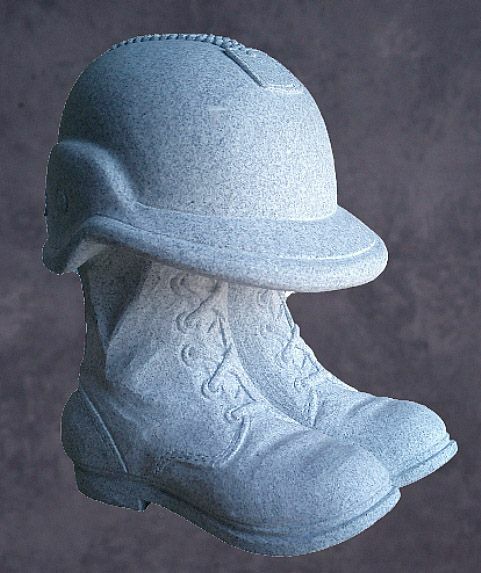 This is a beautiful sculpture available in marble or granite.